Veneers are a cosmetic option you might want to consider if your want to alter you smile. If your smile isn’t where you’d like it to be but you have put off cosmetic dentistry to avoid major and sometimes costly treatments, porcelain veneers could be for you! With porcelain veneers, Dr. Louk can drastically improve your smile with only a few appointments, making your new smile attainable without long and drawn out procedures. After you get your new smile, you’ll wonder why you’ve waited so long to call Rock Ridge Family Dentistry for a consultation. If you have any of the issues mentioned above, cosmetic dentist Dr. Louk can give your smile the dazzling beauty that you deserve with porcelain veneers. Even if you have older fillings or dental work that isn’t in great shape anymore, you don’t have to put up with it any longer. Your new smile is only a phone call away! 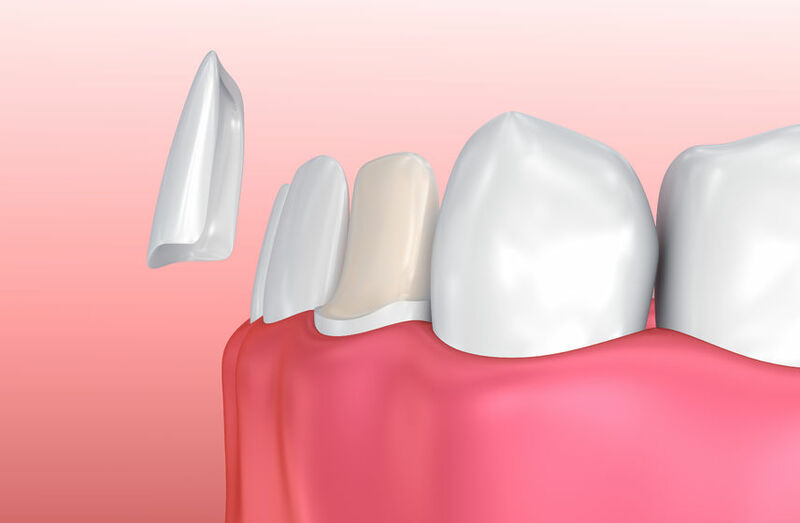 A dental veneer is a wafer-thin piece of material that is crafted to match the shade and size of your other teeth. The veneer is bonded to the front of your tooth to alter its appearance. During a consultation with Dr. Louk, he will talk with you about all your goals and the best way to achieve them. Next the veneer will need to be made, and when you come back for your next appointment, your dental veneer will be ready for placement. Typically a very small amount of enamel will need be removed for the veneer to fit snugly in with the rest of your teeth. Because of this, veneers are considered a permanent solution for your smile. In the end, you will wish you’d gotten them sooner!